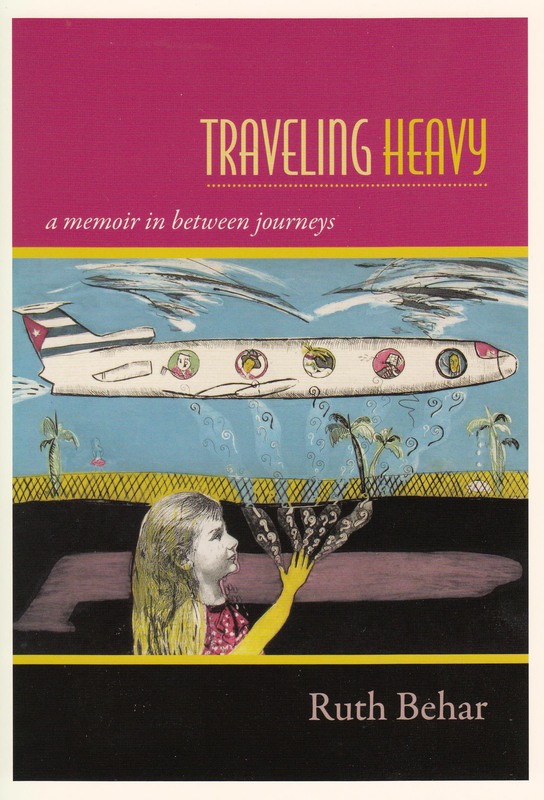 Ruth’s wide-ranging perspectives as a cultural anthropologist and scholar, memoirist, poet, and fiction writer of Jewish Cuban background, give her a keen understanding of timely subjects, including the meaning of home, the role of immigration and travel in contemporary life, and the possibilities of blending scholarship and the arts. In recent years, her speaking engagements have taken her to cities across the United States and Canada and to Argentina, Mexico, Cuba, Puerto Rico, Ecuador, Spain, Finland, Israel, Italy, Ireland, Poland, England, Belgium, the Netherlands, Japan, and New Zealand. Author reading and book signing. Ypsilanti District Library sponsors this year’s Ypsi Family Read: Lucky Broken Girl by Ruth Behar. 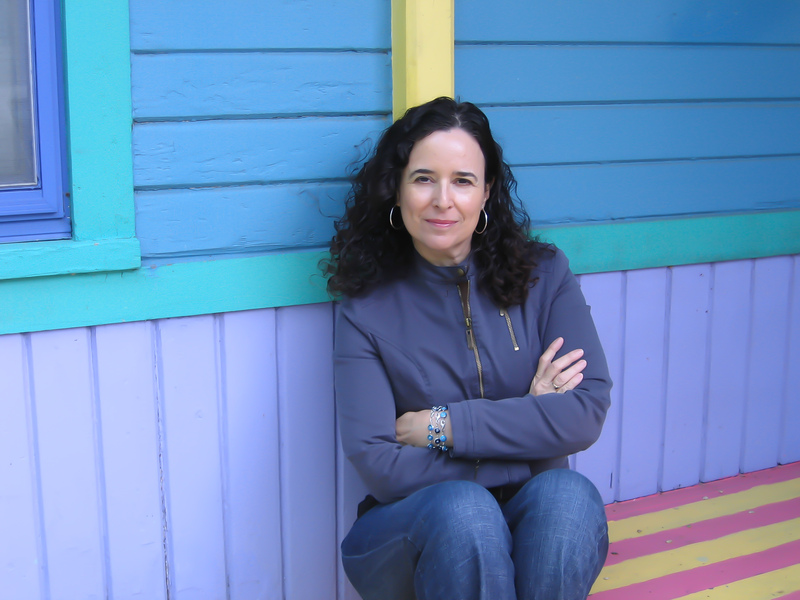 In March, YDL will host a family read celebration centering on author Ruth Behar, including her Cuban heritage, inspiration behind Lucky Broken Girl, and the immigrant-experience in America. Riverside Art Center, Ypsilanti, MI, Monday, March 18, 2019, at 6:00 pm. 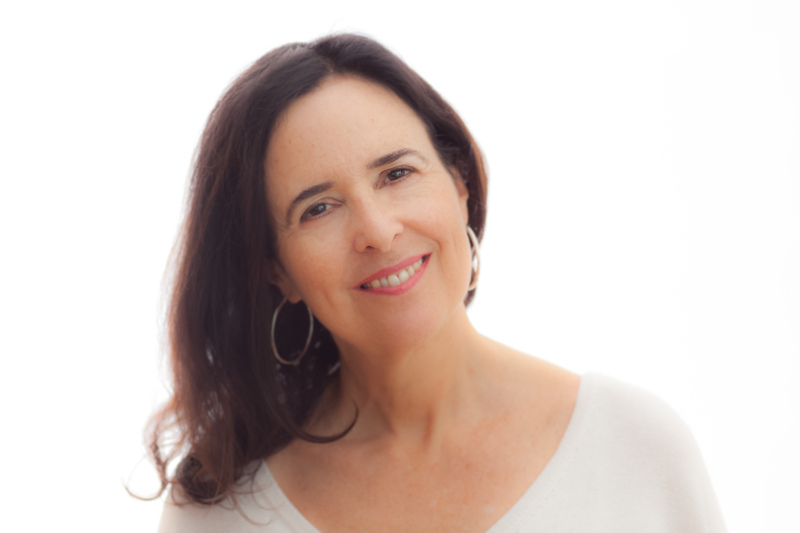 Ruth will participate in a panel discussion, “Life Is a Hybrid: Crossing Genre Boundaries in Memoir,” at the Association of Writers and Writing Programs (AWP) conference, Portland, Oregon, Friday, March 29, 2019, 12:00 to 1:15 pm. Talk, “Words and Artifacts: Treasures of a Cuban Jewish Exile,” at the Festival of the Arts, Brandeis University, Waltham, MA, April 10, 2019, 7:00 pm. 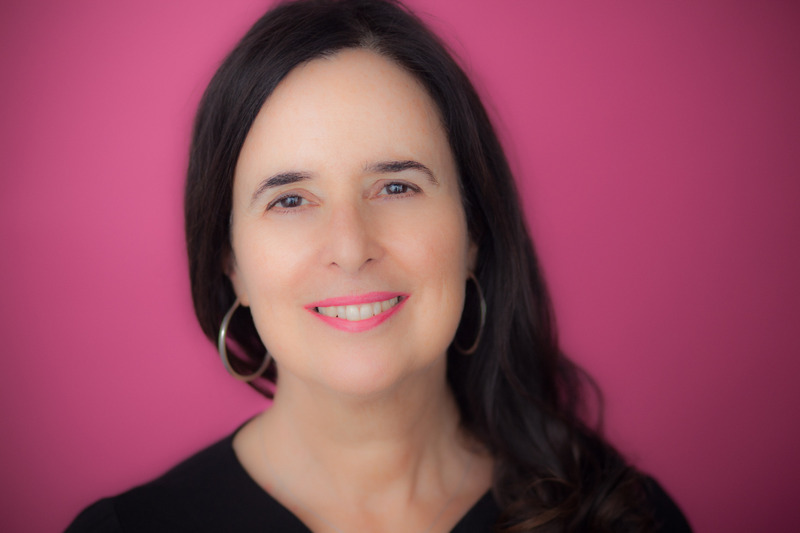 “The Scroll and the Revolution: The Dilemmas of Writing about the Jews of Cuba,” Harvard University, David Rockefeller Center for Latin American Studies, CGIS South, Resource Room, 1730 Cambridge Street, Friday, April 12, 2019, 12:00 to 1:45pm. 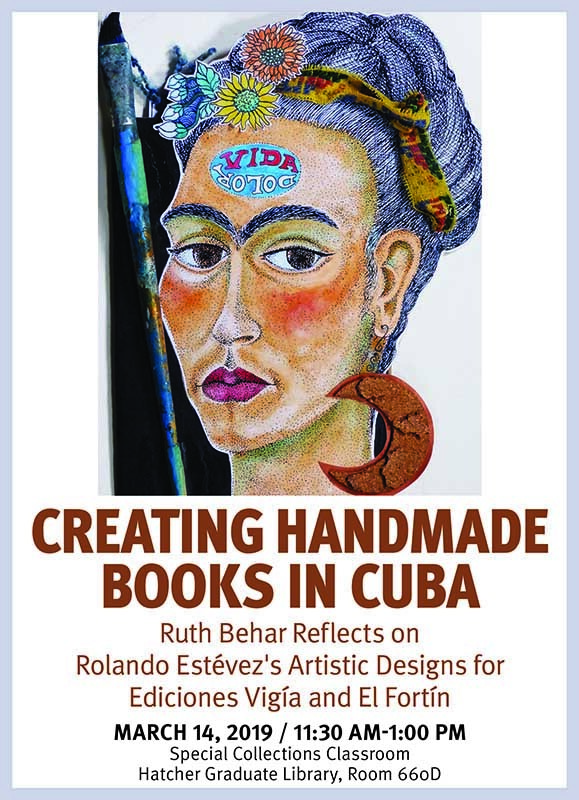 “Creating Handmade Books in Cuba: Ruth Behar Reflects on Rolando Estévez’s Artistic Designs for Ediciones Vigía and El Fortín,” Special Collections Classroom (Room 660D), Hatcher Graduate Library, University of Michigan, Tues. March 14, 2019, 11:30 am – 1:00 pm. Lecture at Western Kentucky University in connection with “The Island of My Love: The Faces and Stories of Cuba,” an exhibition featuring the stories of art, artists, teaching, and photo documentary. February 20-22, 2019. Ruth presented the 23rd Annual Tenenbaum Lecture at Emory University on “The Jews of Cuba and their Diasporas: Memories, Stories, Dilemmas.” The lecture, sponsored by the Tam Institute for Jewish Studies, will take place in the Ackerman Hall of the Michael C. Carlos Museum on Emory’s campus, 571 South Kilgo Circle, on Wednesday, February 13, 2019, at 7:30 pm. Keynote speaker, “Lived experiences of women in academia” theme, at the “Making ShiFt Happen” Virtual Conference, University of the Sunshine Coast, Queensland, Australia. This virtual conference will be held online, worldwide. Tuesday, February 5, 2019, at 5-7 pm Eastern Time US (Wed, Feb. 6, 9-11 am in eastern Australia). Poetry reading and book presentation, “ReadCaribbean Presents Three Groundbreaking Poets,” at the Miami Book Fair. Room 6100 (Building 6, 1st Floor), 300 NE Second Ave., Miami, FL 33132. Sunday, November 18, 2018, at 1:30 pm. 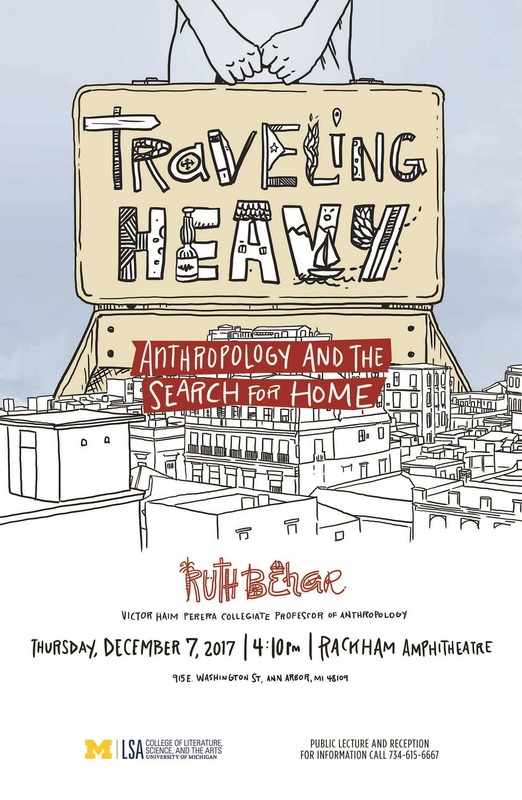 Ruth delivered the 2018 GAD Distinguished Lecture for the General Anthropology Division at the annual American Anthropological Association meeting in San Jose, California. Her topic will be “Anthropology and the Search for Home: Reflections of an Immigrant Ethnographer.” In the Executive Ballroom 210 A, San Jose Convention Center, Friday, November 16, 2018, at 12:15 – 1:45 pm. Reading from Lucky Broken Girl, followed by Q&A. A Latinx Heritage Month 2018 event. 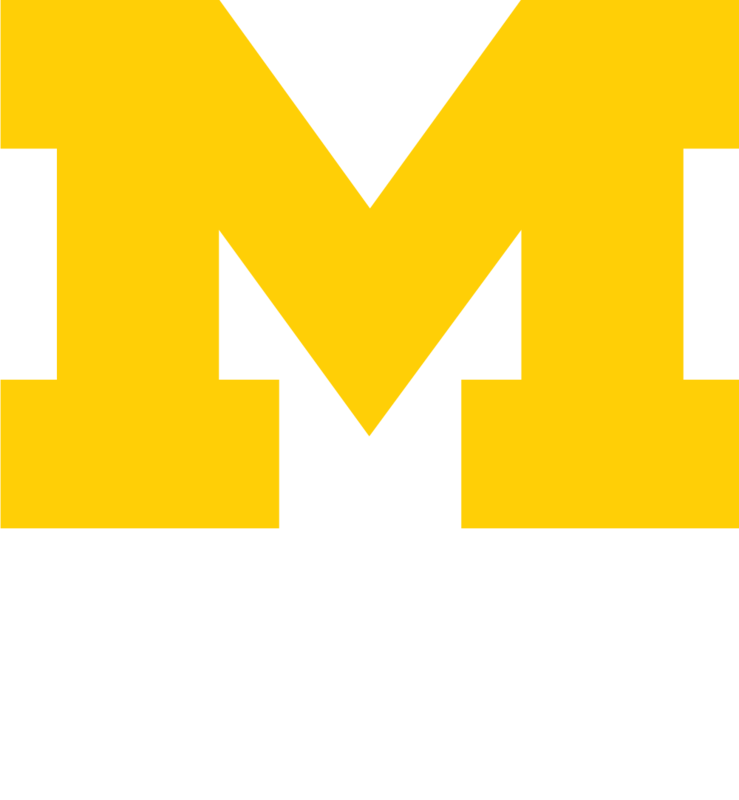 At the Keene Theater, East Quad, University of Michigan, October 2, 2018. Host, “Driving Literacy,” the 20th Annual Gala benefiting Washtenaw Literacy, September 29, 2018. Special Guest, “Taking Your Writing & Art to New Places: Published Authors and Illustrators at Work,” Highlights Foundation workshop. See interview by Jennifer Jacobson about this upcoming event. Milanville, Pennsylvania, September 27, 2018. Poetry reading at Literati Bookstore, introducing Ruth’s new book of poems, Everything I Kept. 124 E Washington, Ann Arbor, September 7, 2018. 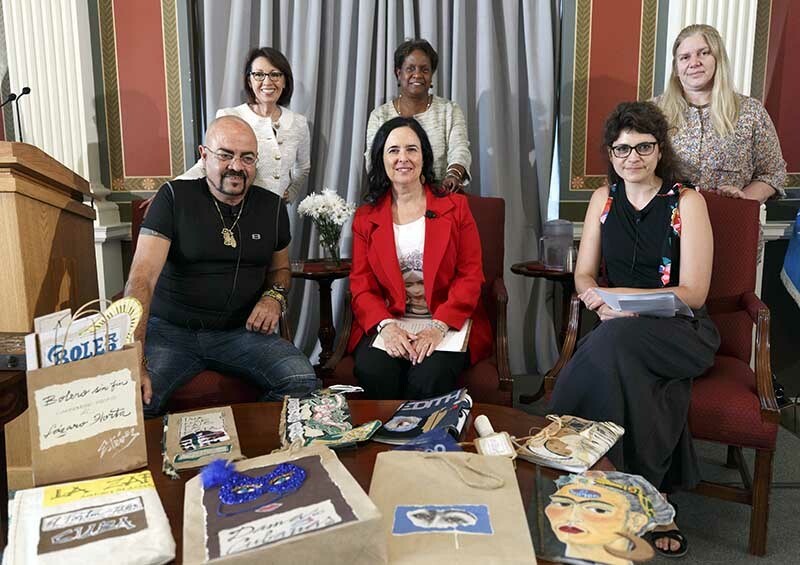 La Voz Latina display and discussion with artist Rolando Estevez at Library of Congress event, June 28, 2018. Photo by Shawn Miller. 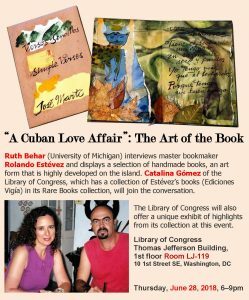 “ ‘A Cuban Love Affair’: The Art of the Book,” a conversation between Ruth Behar and Cuban book artist Rolando Estévez, Library of Congress, Washington DC, June 28, 2018. 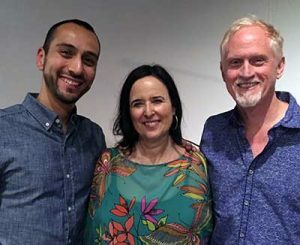 Ruth with Jacob Saenz and Campbell McGrath, O’Miami, 2018. Poetry reading at The Betsy’s annual “Under the Influence Event with O’ Miami,” with host Campbell McGrath, The Betsy Hotel, Miami Beach, April 15, 2018. “The Fascination with the Jews of Cuba,” College of Charleston, Arnold Hall, April 8, 2018. 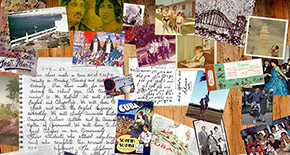 “The Hold Cuba Has on Me: Memory, Travel, and Writing,” College of Charleston, April 5, 2018. Ruth Behar reads from Lucky Broken Girl. Congregation Bet Ha’am, South Portland, Maine, March 25, 2018. 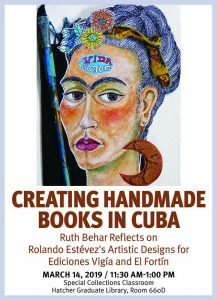 Ruth Behar and Richard Blanco discuss their works and their Cuban culture. Skowhegan Free Public Library, Skowhegan, Maine, March 23, 2018. 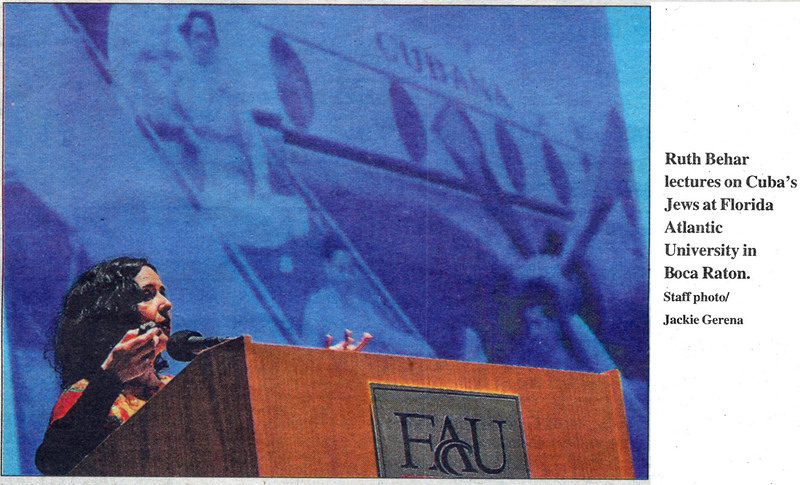 Ruth Behar and Richard Blanco speak about their writing, their books, and their “Bridges to/from Cuba” forum. Beth Israel Synagogue, Waterville, Maine, March 22, 2018. Speaker, “Recovering Anthropology’s Voice: From Ethnographic Practice to Writing for the Public.” Discussant, “Family Matters: Re-Examining Children in Anthropological Fieldwork and Careers.” American Anthropological Association Conference, Washington, DC, December 1, 2017. “Entrusting Myself to the Beauty and Danger of Life: Journeys of an Ethnographic Writer,” Indiana University, Horizons of Knowledge lecture, November 3, 2017. 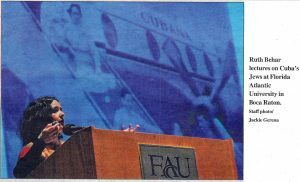 “Many Migrations: My Story as a Cuban Jew,” Congregation Beth Shalom, Bloomington, Indiana, November 3, 2017.
International Literacy Association Conference, Orlando, Florida, July 15-17, 2017. “Constructing Jewish Cuba: Immigrant Memories, Anthropological Journeys, Fictional Recreations” and “Lucky Broken Girl: A Cuban-Jewish American Novel,” Latin American Jewish Studies Conference, Mexico City, July 3-5, 2017. Lucky Broken Girl, book presentation, Yiddish Book Center, Amherst, Massachusetts, May 22, 2017, 2:00-3:30pm. Advisory Council Meeting, Princeton University, May 20, 2017. Lucky Broken Girl, book presentation, Children’s Book Week, Nicola’s Books, Ann Arbor, Michigan, May 3, 2017. Lucky Broken Girl, book presentation, Literati Bookstore, Ann Arbor, Michigan, May 2, 2017, 7pm. “Ethnographic Writing Workshop,” Association of Anthropology Students of San Diego State University, April 27, 2017, 4-7pm. “Debutante Ball: Dance with New Children’s Authors Panel,” Texas Library Association, San Antonio, Texas, April 21, 2017, 1:30-2:30pm. Lucky Broken Girl, book launch, Books of Wonder, New York, April 9, 4-6pm. “Latino Studies Today,” ¡AdelanteTigres! : Celebrating Latino Alumni at Princeton University conference, April 1, 2017. 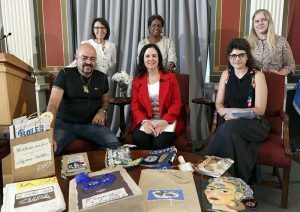 “Cuba: Threads of Change,” American Museum of Natural History, New York, March 9, 2017. Speaker at various panels: “Ethnographic Writing,” “Towards an Anthropology of Storytelling,” “Life Matters,” “Other Writing Genres,” and “The Light in Our Eyes: Mergers Between Poetry, Fiction, Memoir, and Anthropology,” Annual Meeting of the American Anthropological Association, Minneapolis, November 16-18, 2016. Keynote lecture, “Cuba and Its Diaspora: Those Who Leave and Those Who Stay,” Inaugural Symposium of Latin American Studies at Utah Valley University, “Latin America in the World” (program – pdf), Orem, Utah, November 3, 2016. Keynote Lecture, “I Come From All Places and to All Places I Go,” Lin Great Speaker Series, Conference on Justice and Social Concerns, St. Mary’s University, San Antonio, Texas, October 25, 2016.